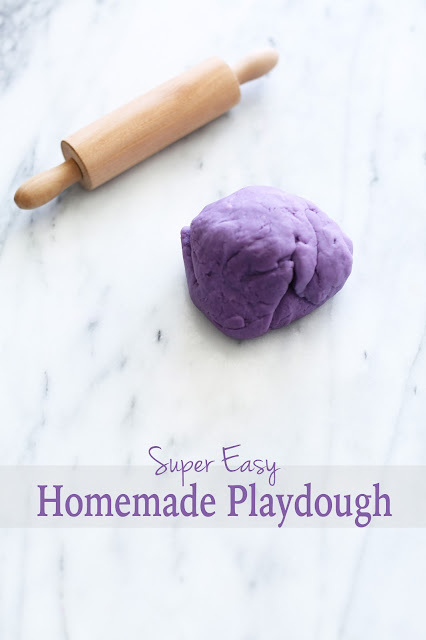 I know that playdough isn't the usual type of recipe I normally post over here, but it's just so easy that I had to share with any other mama's who have tots equally as obsessed with 'the dough' as mine. Combine all ingredients in a medium size bowl. Transfer to a large saucepan, and heat on the stove on medium heat until solid. Transfer to a cutting board until cool enough to handle.